Ah, but you can't apply a feature-based-fillet to it, can you? When LASER-cutting the grill, you want nice roundy-roundy corners. 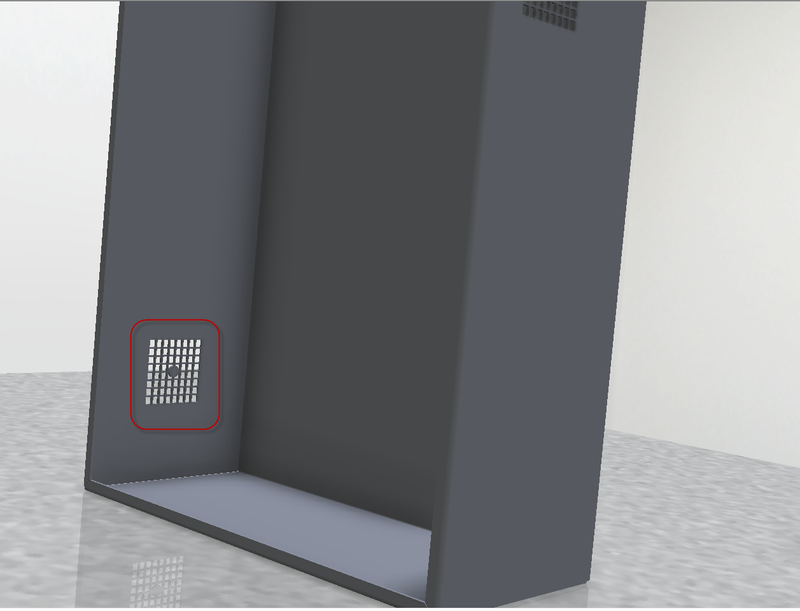 It can be done by following up with the corner round or fillet tool. A bit pick intensive, but if you extract it as a punch, you can extract the fillets too. I know what you are saying, but surely rule fillet was DESIGNED to decrease picking? But we you use it, IV thinks you're creating a multi-body, and consequently won't let you stay as a sheet-metal part. 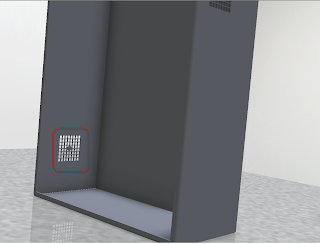 That is, you can't invoke Rule Fillet in sheet-metal environment, and can't go back to sheet metal after converting in order to use the rule fillet. Why? Yes, technically the corner round is what I want, but functionally it's the same thing. And I don't really want to use a punch, because there's less "tuning" available once it's applied, and really it would be an awkward work-around. But you're not an Autodesk employee, I shouldn't be ranting at you. Sorry. Keep up the good work. Rob, I hadn't thought about trying the plastics rule fillet. But alas, you are correct. Being a plastics tool, asking the rule fillet to work in the sheet metal environment is a bit too much to ask. As for the 'why'. That I don't know. Perhaps it relates to drafting typical in plastics parts, but that's pure speculation on my part. I was using the standard modeling fillet, and the corner fillet. Which is where the pick intensive part comes in. I even thought of using different combinations of the rib tools, but they really only 'shift' the place you put the time in, at least in my opinion. While I definitely agree that punches aren't the be all end all, you may be able to make use of the drive tables, and some of the variables. Although ultimately, the ultimate control is granted by a 'built from the ground up' feature. And don't feel you have to apologize for ranting. Your comments were constructive for myself, and I'm sure for others reading this blog. We're all members of an extended 'design team', and what good would this blog be if it were all one sided?